Skyd Fund 2014 is presented by Breakmark Ultimate! Be a part of the fund and get 10% off the Breakmark online store at the $20 level, or 15% off at the $40 level. 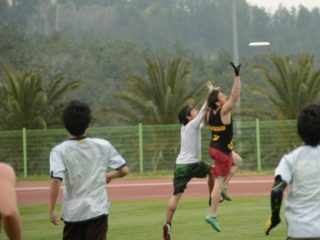 Investigative reporting is relatively new in the world of ultimate. 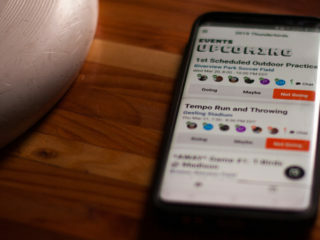 For much of our history, players and fans cobbled together whatever we could from haphazard tournament reports and gossip-mongers on rec.sport.disc. 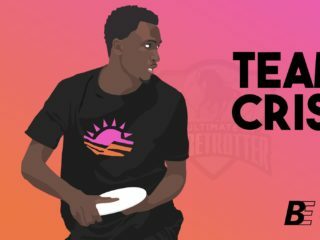 Skyd, as the first ultimate website to take reporting the sport seriously, gave me the forum to tell a story that is familiar to anyone that has lived and played ultimate in Southern California. Outside of the area, however, our ultimate scene is a relative unknown. The piece describes one city’s inability to produce an open team that could make, let alone compete, at Nationals. It seems almost unthinkable that Los Angeles – the second-biggest metropolitan area in the United States – could have such a difficult track record. Telling the tale was difficult. I played with and was coached by many of the people in this story and would have to walk a fine line between respect and objectivity. What emerged was historical context, inter- and intra-city rivalries, a group of upstarts, and one man coming to terms years later with one of the most difficult experiences of his life. In the end, the feedback I received was tremendous. Without Skyd, their stories would have never been told.